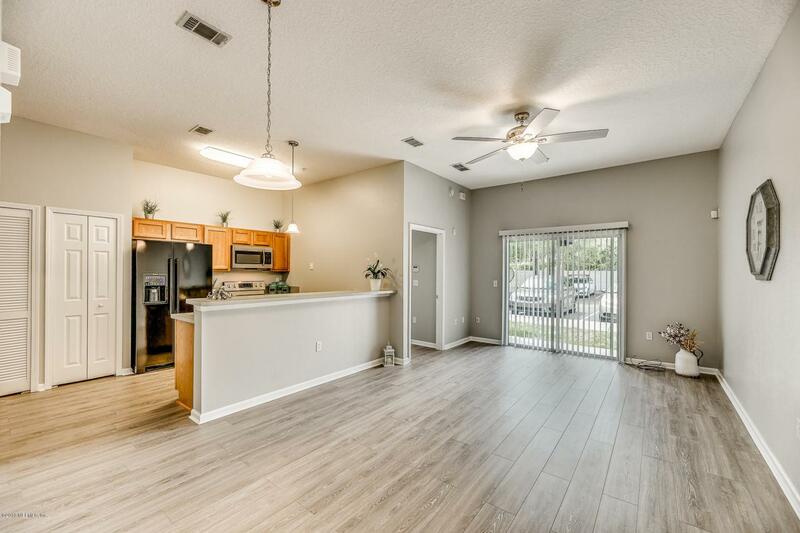 What an amazing first time home or investment property. 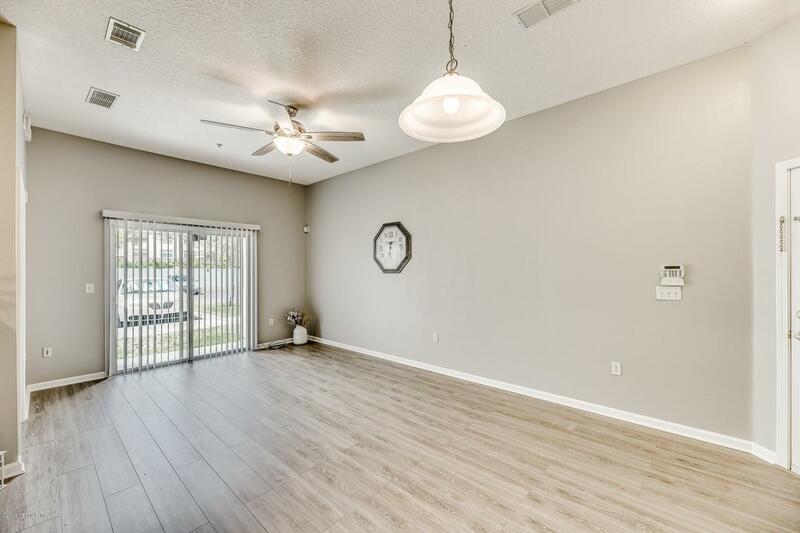 Gated community with remarkably low HOA fees, community pool and playground steps away from this lovely remodeled ground floor unit. New owner will appreciate all new waterproof luxury vinyl, wood look planks in all living areas, kitchen, baths and master bedroom. Neutral carpeting in second bedroom. Enjoy new kitchen appliances and a 2 year NEW A/C unit. 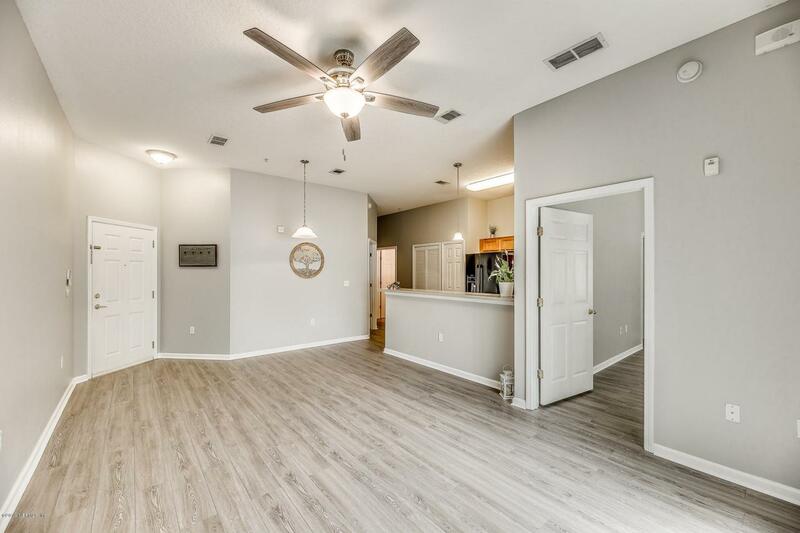 This entire condo has been repainted a stylish light gray making the new light fixtures pop. 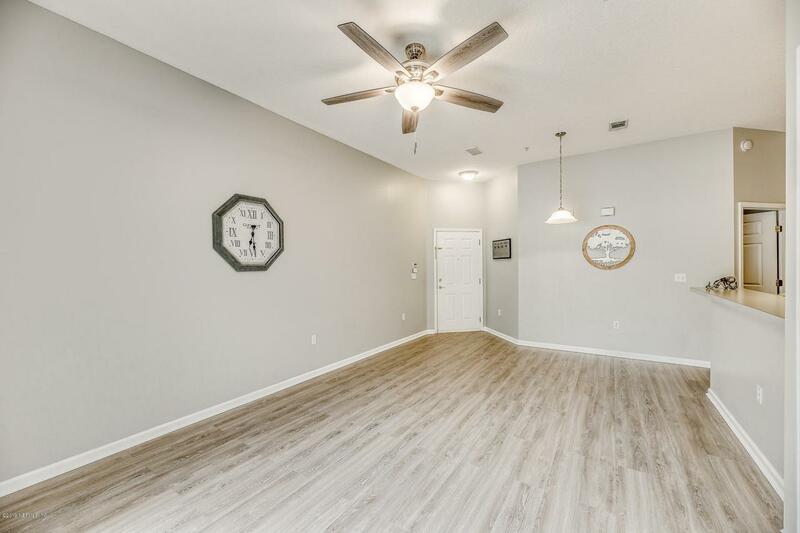 Completely move in or rent out ready and includes Whirlpool washer and dryer. Amazing rental potential - close to schools, churches, shopping and lots of dining. Great location for any lifestyle!